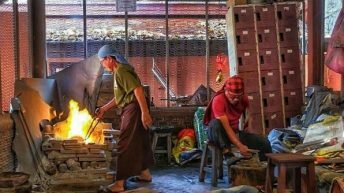 From the Philippines to the rest of the world, the environment has always been regarded as ‘Mother Earth’, a life-giver and nurturer. Nature’s abundance is the bosom that sustains humanity. The worldwide celebration of International Women’s month dawns upon us with Mother Earth besieged by the worst ecological crises she has ever faced — the likelihood of the next mass extinction event, the runaway climate disruption, and the exponential rate of pillaging the natural resources on a global scale. 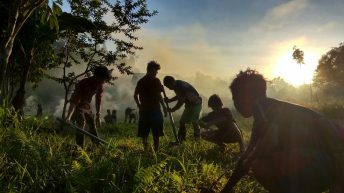 A number of exemplary individuals and organizations have been nominated in the upcoming Gawad Bayani ng Kalikasan Awards for their defense of Mother Earth. Let’s get to know four women nominees who are leading the way. 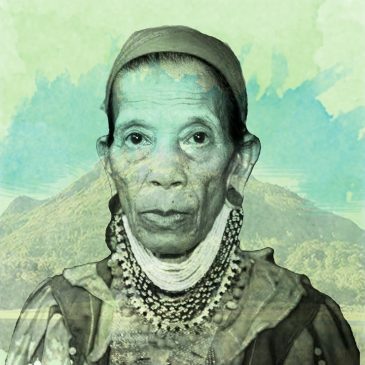 From the lush peaks of Pantaron Mountain Range in the Davao region, Abiok Ligkaian Bigkay, or “Bai Bibiaon”, is known as the only living woman chieftain of the Lumad people who has taken the helm in asserting the Lumad’s right to their ancestral domains and in preserving the rich biodiversity and natural resources of Pantaron. 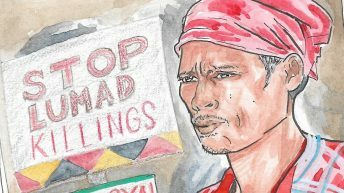 Bai Bibiaon’s leadership is a keystone in the Lumad’s impregnable defense of Pantaron against big logging and mining, preserving its virgin forests and pristine headwaters in the process. She has also helped in instituting livelihood programs and alternative Lumad schools, greatly improving the self-sufficiency of their community. These heroic exploits have been met with intensifying militarization in their communities, including attempted assassinations, forcing Bai Bibiaon and her tribe to flee their beloved homelands. The fierce woman-chieftain still remains a sentinel over the Pantaron through the generations of Lumad inspired to carry on with her struggle. 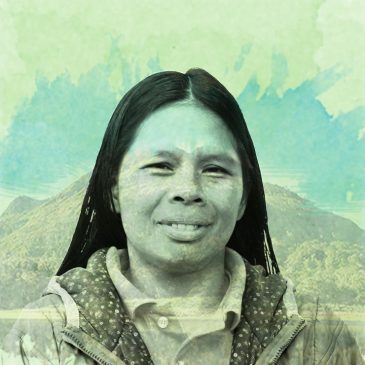 An indigenous Kalinga woman from the Uma tribe in the Cordillera region, Beatrice Belen is a fearless defender of her people’s ancestral lands. She is the Vice-Chairperson of Innabuyog, a regional women’s alliance safeguarding the lands and resources of the communities in Cordillera. 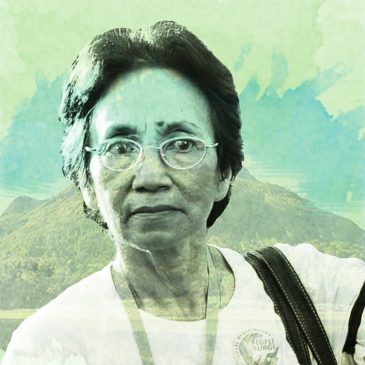 Beatrice, together with her fellow Kalingas, demonstrated remarkable leadership in forming a barricade in their village against the Chevron Energy Company’s proposed geothermal power project in 2012. They bravely faced down Chevron personnel installing the company’s implements without the people’s consent. Beatrice’s uncompromising activism to defend the land, life, and resources of her people has never faltered despite the challenges and pressures. She believes that to fight for their ancestral rights is to honor the legacy and bravery of her forebears and to guard a promising future for the next generations to come. They are the ‘children of the storm,’ reborn from the rubble of Super Typhoon Yolanda’s aftermath. The People Surge, a movement of typhoon survivors built from Ground Zero of the world’s most powerful typhoon in history, transformed hapless victims of disaster neglect in the Eastern Visayas region into seekers of justice. Bearing the banner of People Surge is its chairperson, the diminutive Dr. Efleda Bautista. A retired principal and local civic leader, Dr. Efleda survived Tacloban City’s massive storm surges but witnessed how many did not. 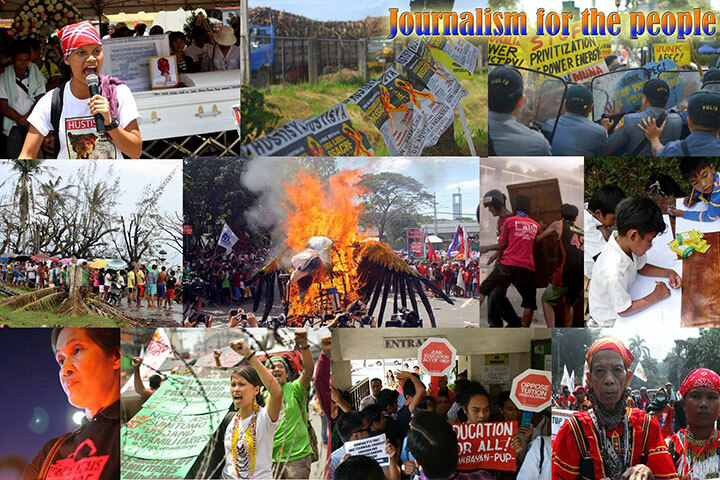 Realizing how their plight was not a deadly fortuitous event but a result of State abandonment and climate shocks, Efleda and thousands of others like her shook the nation with a series of protests crying “Justice for the Victims of Typhoon Yolanda!” from Eastern Visayas to the heart of Metro Manila. 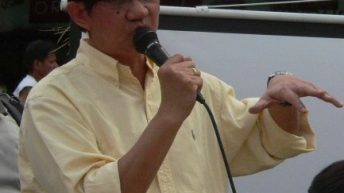 People Surge has campaigned against blatant corruption in the government’s relief and reconstruction programs. They have successfully pressured the government to release long-withheld Emergency Shelter Assistance funds to their compatriots. 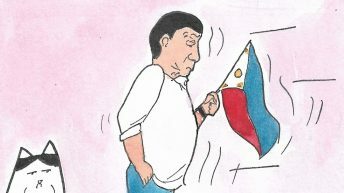 More disasters have struck Eastern Visayas since then, and Dr. Efleda and the People Surge continue to be vigilant over the plight of survivors, old and new. A half-blind day care teacher turned daring farmer-leader, Josefina Panginen—Ka Josie to her comrades in the peasant movement—serves as the Chairperson of the Panlalawigang Alyansa ng mga Magbubukid sa Aurora or PAMANA. Through Ka Josie’s leadership, the frontline communities of Aurora have successfully stopped the destructive logging operations of Integrated Development Corporation, Pacific Timber Export Corporation, and other logging companies. Their campaigns against mining operations have also successfully resulted in the disapproval of 30 mining applications encroaching Aurora’s forests and agricultural lands. 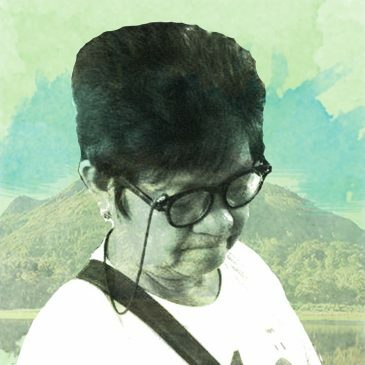 Threats to land and life never seem to cease, as Ka Josie and her farmer compatriots are currently pitted against the Aurora Pacific Economic Zone and Freeport (APECO), and the PTC Energy Inc.’s Hydro Power Dam, among others. But even with her old age and physical limitations, Ka Josie is steadfast in asserting that the land belongs to the tillers, not the plunderers. She is a shining example to many peasant women in continuing the fight to protect and defend our lands and environment. 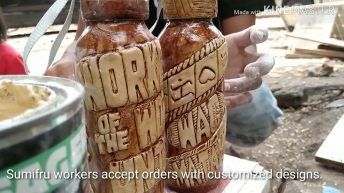 The rest of the nominees and actual winners of the 2018 Gawad Bayani ng Kalikasan, an initiative of the Center for Environmental Concerns – Philippines, will be announced in the GBK Awards Ceremony on March 15, 3:00 to 5:00PM, at the Institute of Biology Auditorium of the College of Science, UP Diliman. 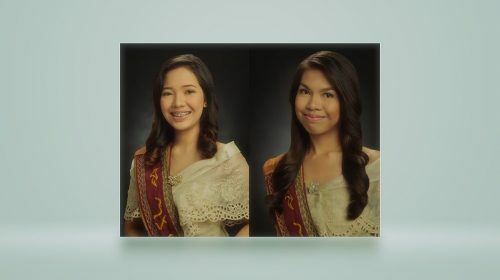 L to R: Gia Glarino and Hanna Paja are political science and public health graduates, respectively, from the University of the Philippines – Manila. They are volunteer campaigners for the Kalikasan People’s Network for the Environment (Kalikasan PNE).